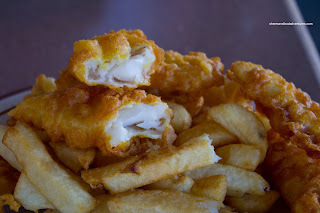 For all the fish 'n chip joints I've tried, there has always been one that I've been to countless times before, yet never had a chance to blog about. Now, if told you it was C-Lovers, it might be a bit surprising. Why? Well, it is a chain and there are multiple locations in the Lower Mainland. So what has taken me so long? Honestly, I'm not sure. It's not like I didn't have the chance in the past 3 years. Maybe it is one of those "oh it's always going to be there" type places. 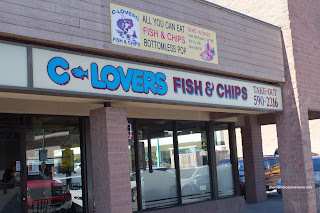 I have to admit, C-Lovers was our go-to place for the longest time during and shortly after University. We'd meet up with at the North Van location and mingle with the seniors for the AYCE special. I think once Chill had too much and he disappeared into the washroom for 30 minutes... But I'm sure you don't want any more details about that! Well, once again, I took advantage of their AYCE Cod 'n Chips special, albeit at the Surrey Newton location. The one thing one would immediately notice with the AYCE version of the fish 'n chips is that the pieces of fish are smaller. They almost resemble big fish sticks rather than the regular long filets of cod. However, our fish was still moist and flaky with a light batter, much like it has been every time I've had C-Lovers. The fries were fresh cut, potatoey and crisp. 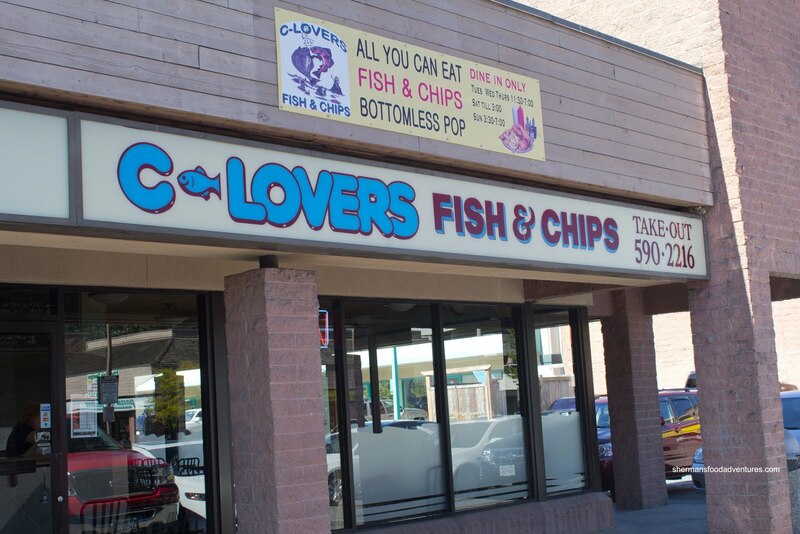 I have always thought the tartar sauce at C-Lovers to be rather mild, yet it does the job. Since the pieces of fish were small, I was able to have a bit more. I probably shouldn't have though... But that is the temptation of AYCE. On the topic of temptation or just plain power of suggestion, I noticed that the table next to us enjoying a bowl of their Seafood Chowder. So what would I do? Of course, get an order for myself! I can see buffet aficionados rolling their eyes already... Ordering more food at an extra cost when I have already paid for an AYCE? Blasphemous! 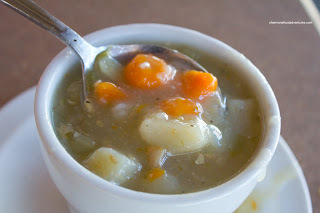 Well, the Seafood Chowder was a bit different than the typical creamy version. It was more of a broth which was fishy (in a good way). Personally, I like the cream-based chowder more, but this was okay too. All-in-all, the meal was pretty much as expected which was consistent with other meals at C-Lovers. For the price, it a more than acceptable fish 'n chip joint. C-Lovers consistently makes me happy. Something I've started to do to get variety without spending a lot is, get the - fish burger, mushy peas and a small order of onion rings. Fries, while a staple here, can get kind of boring. Mushy peas is the bulk in this combo of items and if it sounds like "bad" British food, I couldn't agree less. C-Lovers make this legume based dish with just the right amount of butter. It's very unctuous and when topped with crosswell's sweet vinegary mint sauce they hit the spot. Smooth, rich mouth feel, sweet, floral and tart all at the same time. I'd always hesitated ordering a fish burger due to idea it would be like a MC D's style hash patty but it's simply a nice size cod fillet on a sweet white bun with sauce. 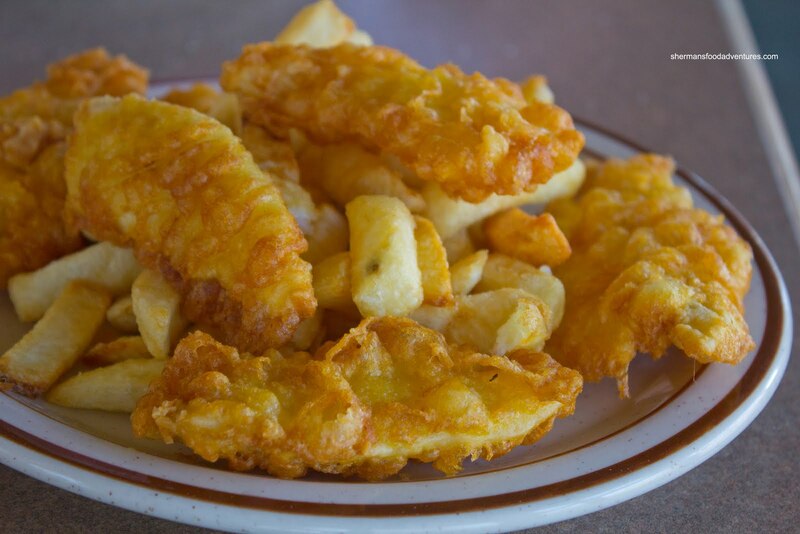 Simple and fulfills the craving for the fish in fish and chips. I have friends that both love and hate the onion rings, flour based batter vs cornmeal batter. It's a preference thing. The onion portions are definitely more generous than typical fast food places where the taste of batter is pretty much all you get. Here the onions clearly come through. How much is the AYCE ? Is it only for cod, or for other fish options too ? When you get AYCE, do additional plates(?) come with just fish, or fish + chips at same time ? @Unknown Yup, no matter what other ppl say, I still think C-Lovers is solid considering it is a chain too. @LR It's like $9.00 for lunch including pop. They give you additional plates of just fish and the amount you ask for too. Thx Sherman. There's a chance I might be able to hit the Newton location tomorrow, depending how my day goes, as I'll be working out in east Surrey tomorrow.